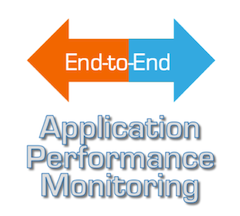 "Taking an end-to-end approach to application performance management can seem like the obvious thing to do. But it hasn't been the way that performance management has traditionally worked. In order to implement an end-to-end performance management system, organizations need to overcome both internal divisions between IT teams and the old school performance management and monitoring tools that aren't designed to integrate and share data." Download the Aberdeen Group report free before December 31, 2012. Clearly, it's very important for businesses to adopt end-to-end approaches, and with the ExtraHop system, gaining operational intelligence for the entire application delivery chain doesn't have to be complicated or expensive. Aberdeen's report outlines four key goals that businesses must focus on to achieve end-to-end APM—all of which are addressed by the ExtraHop system. "If your performance management and monitoring tools are disconnected and unable to work together, it will lead to increased complexity and inability to troubleshoot critical issues." Unlike traditional APM approaches that rely on a combination of loosely integrated specialist tools, the ExtraHop system provides value to all IT groups. Practice Fusion's VP of Technical Operations, John Hluboky, explains, "Every team in our IT organization uses the ExtraHop system. It's our single pane of glass. Our system engineers and network engineers use it most often, but the application support team and DBAs also use the ExtraHop system to determine authentication failures or tune a database query, for example. This information is available immediately off the wire in terms that everyone can easily understand." Read how Practice Fusion enables IT collaboration with ExtraHop. "Many traditional performance management and monitoring tools have a hard time monitoring and tracking performance issues when applications use virtualized or cloud-based systems." "We had an abnormally high rate of HTTP aborts for a pool of 60 front-end webservers that host three different sites. We have so much traffic to this pool that it was extremely difficult to isolate the problem server using our user-experience monitoring tool. By customizing the analysis in the ExtraHop system, we could identify a server that was configured to debugging mode. We turned debugging off and immediately saw the HTTP aborts fall by 95 percent in ExtraHop." Read how Concur optimized database performance with ExtraHop. "End-to-end performance management systems are able to both increase visibility into application problems and decrease the time needed to identify the root cause of an issue and repair it." Chris Grey, Alaska Airlines' Director of IT Operations, says, "In many cases, ExtraHop can cut our troubleshooting time in half." IT organizations using the ExtraHop system as the single source of truth can quickly correlate application behavior across the network, web, database, and storage tiers to understand what is happening. Read how Alaska Airlines used ExtraHop to reduce troubleshooting times. "End-to-end performance management … means ensuring that all of the key stakeholders in a business can view and understand performance data in order to ensure that applications continue to perform at their highest capabilities." The ExtraHop system offers contextual visualization capabilities, including summary performance dashboards, that companies can customize to provide intelligence to business stakeholders. A large, international investment institution uses ExtraHop's dynamic geomaps in its network operations center (NOC) to show real-time application usage and potential trouble spots around the world. When the marketing team saw the geomaps in action, they gained new insight into how customers actually use their services. Flex grids provide summary views of key performance indicators and performance-based SLA thresholds. 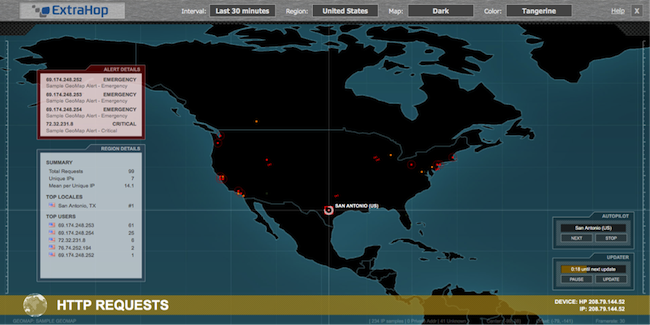 Geomaps in the ExtraHop system provide geographic context for real-time performance metrics and alerts. To learn more, download the new Aberdeen Group report, "The Need for End-to-End Application Performance Management and Monitoring." 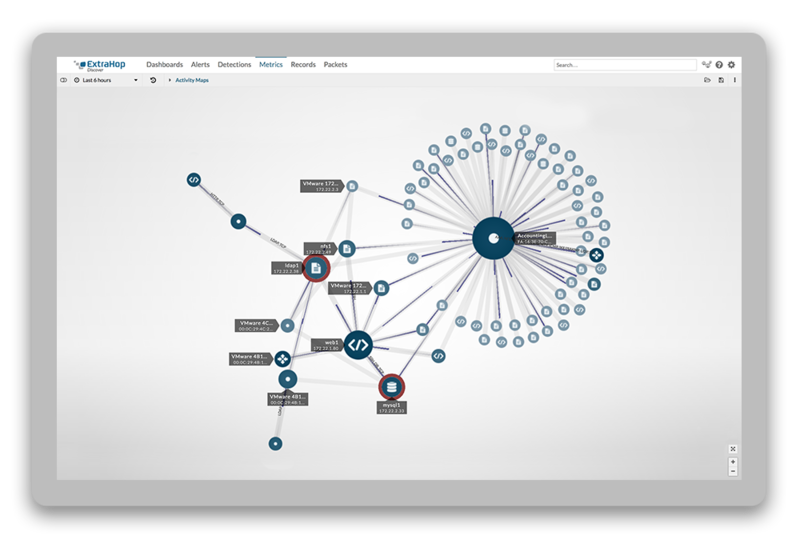 To see how the ExtraHop system can work in your environment to provide end-to-end APM visibility and operational intelligence, explore our free, interactive demo.